I've been a stitcher for the charity Love Quilts UK since 2013 - if you haven't heard of the charity before, it's a group of volunteers that make quilts made up of cross stitch squares for children with life-threatening and life-long illnesses. Every month, quilt sign-ups 'open' on the website for the children chosen from the lottery. Each quilt is personalised to that child - so all the squares are based on a theme their parents chose (e.g. 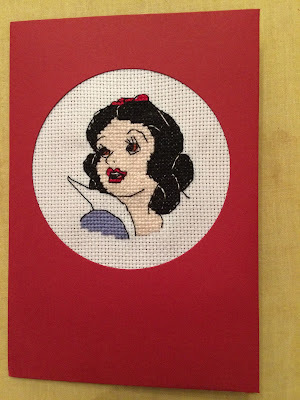 Disney Princesses and Superheroes are very popular!). When signing up to stitch for a quilt, you fill in details on what you're going to stitch so that other people signing up don't choose the same design! You then have a deadline to submit your finished cross stitch square by; usually about 3 months. 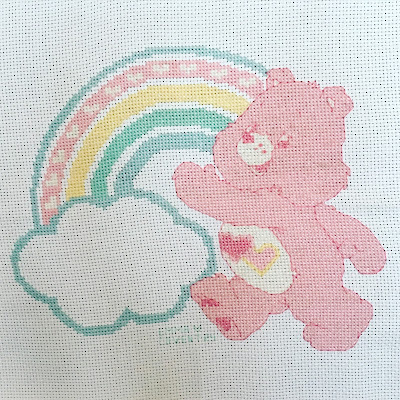 All cross stitch squares should be 13" x 13" and on white aida, and the design cannot be bigger than 9" (which is 126 stitches max on 14 count aida). For more information on the stitching directions, see here. Alternatively, if you prefer to do smaller cross stitch designs, each quilt is sent accompanied by a cross stitched card. Card sign-ups open on the Love Quilts UK Facebook page so keep your eye on the page! 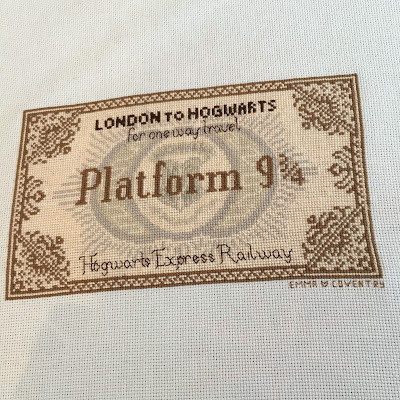 Hogwarts Express Ticket for Sophie G (Theme: Harry Potter). See finished quilt here. Care Bear for Hope S (Theme: Female Disney and Care Bears). See finished quilt here. 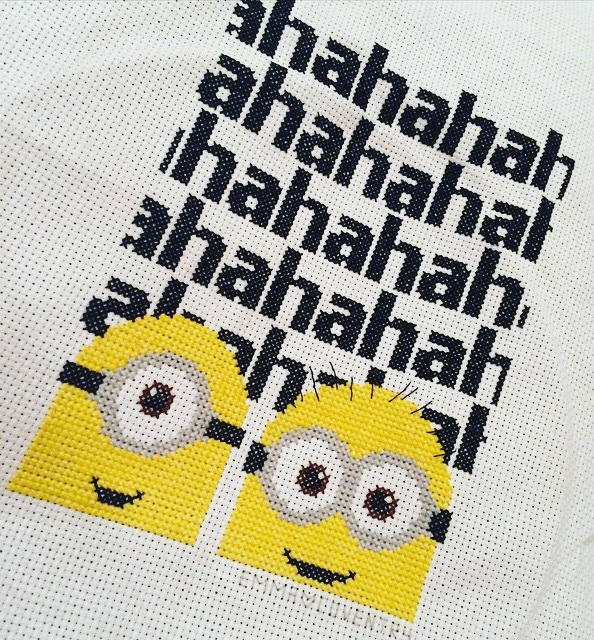 Minions for Harvey T (Theme: Disney Pixar and Minions). See finished quilt here. 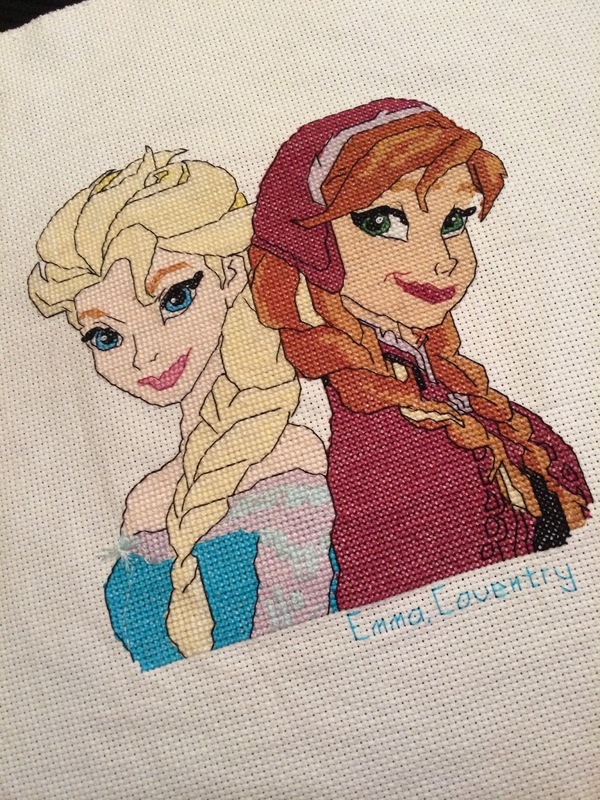 Frozen Elsa & Anna for Emily H (Theme: Female Disney Characters). See finished quilt here. 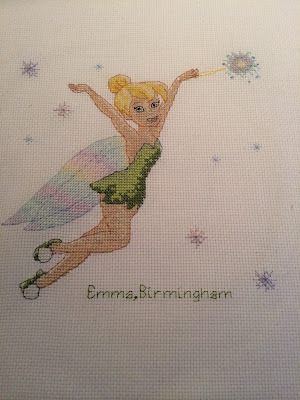 Tinkerbell for Charmaine L (Theme: Disney Princesses). See finished quilt here. 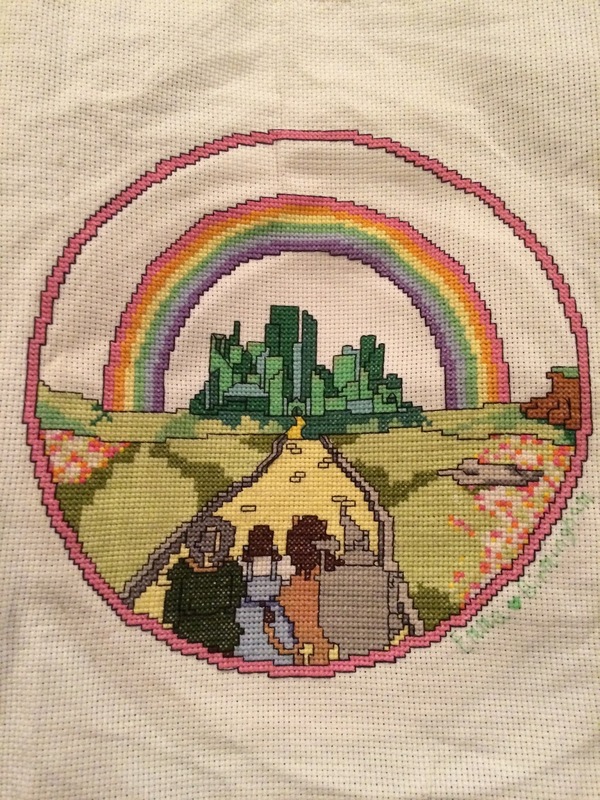 Wizard of Oz Yellow Brick Road for an emergency quilt (Theme: Rainbows). See finished quilt here. 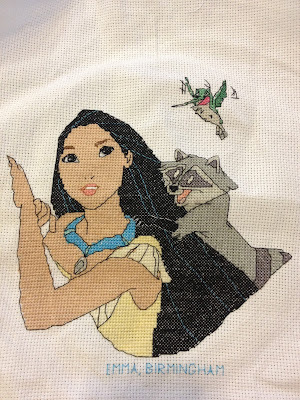 Pocahontas & Friends for Rebecca P (Theme: Female Disney Characters). See finished quilt here. ...And a Snow White card for Grace H (Theme: Female Disney Characters). See finished quilt and card here. Thanks Emma! :) Signups currently open every Wednesday and Saturday, and as well as stitchers we particularly need quilters - a valuable resource! Do you have a pattern for the Hogwarts ticket? I would love to make that!